Remember this post? The one about infinity times infinity? The kindergarten kids? The infinities of dots? The pickets? That one. Well, I have updates on that. Just as I published the post, I received a notification from Google+. Weird, Google+ is a wasteland (sorry Google, I know you're doing your best). What is this scream from the void? Very cool gif, Google+! Thank you! This explains my thoughts much, much better. I don't know how you came up with this. How did you come up with this? Not only this animation makes much sense, but it is also named infinity-MOTION. Perfect name. 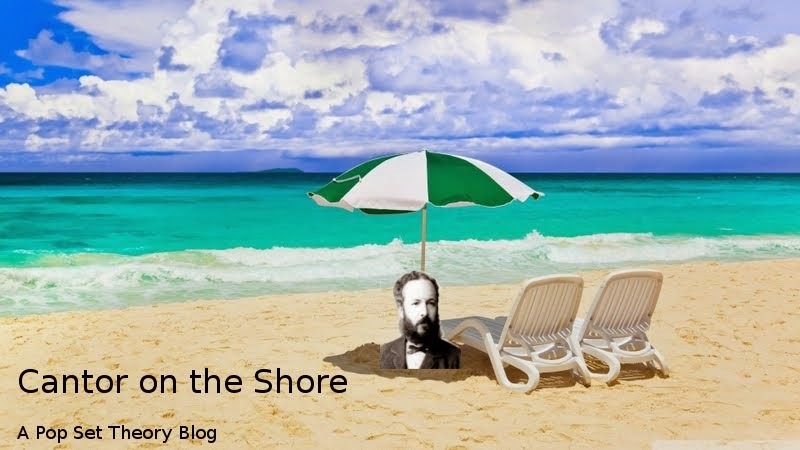 Is there a brilliant man/woman at Google+'s that follows all my posts, looks up at the pictures and creates better ones? To make me feel inferior? Does he/she follows me around, stalking every keystroke?? You're not better than me, person! Or maybe I am overreacting. It is just an automatic software. That crawls through all my stuff. And makes creepily appropriate gifs. Is it... is this how Skynet started? With gifs? What are you doing to my life, Google+?! 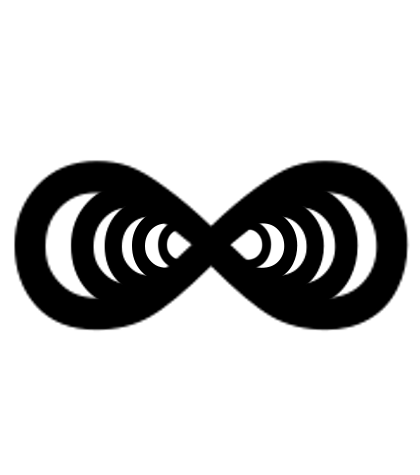 It turns out that infinity times infinity is a thing, and there is a symbol for it. It seems a must for romantic things (as in "I love you infinity times infinity") and it appears in jewellery, tattoos, cards, etc... First, it seems like this blog will never be free from romantic stuff. This is great, as a good part of my intended audience is clearly made of teenage girls and pickup artists. Second, I am not really sure about this symbol. 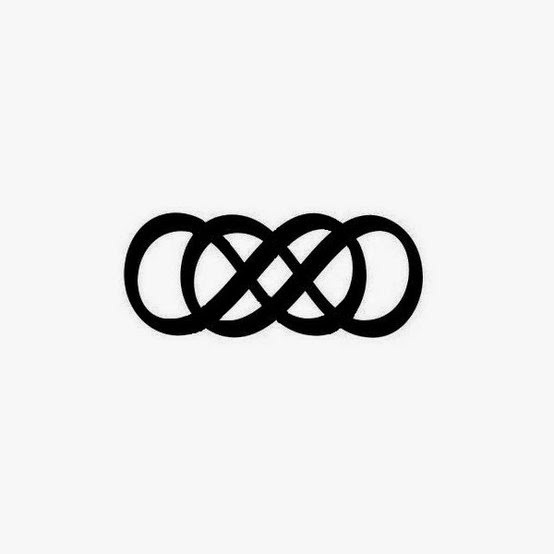 I mean, it is clearly one infinity (lemniscate) on top of the other, so it is more like infinity plus infinity. I imagine infinity times infinity as something more complex, a bit more mindblowing, something like this? Well, this seems too much a pair of angry eyes. Maybe something more fractal? I am not a graphic designer (as you can see very well from my pictures), so please, somebody invent a better symbol! Infinity times infinity deserves it! I have nothing to say about this. Everything he said it's right. Did anybody said tattoo? Also, if you spend time on Google+, probably you have a lot of time for this. These are infinities that count!